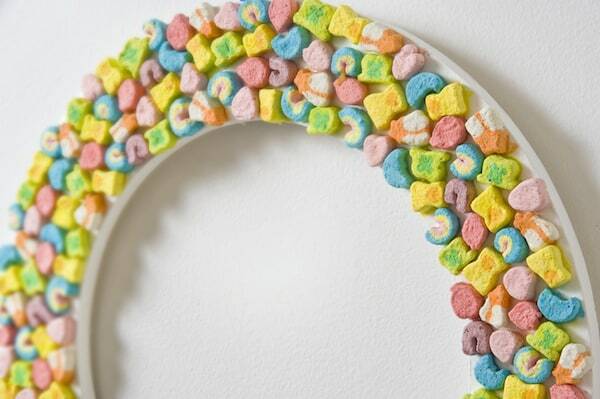 Use one of the best cereals ever – Lucky Charms – to create a fun and unique St. Patrick’s Day wreath. 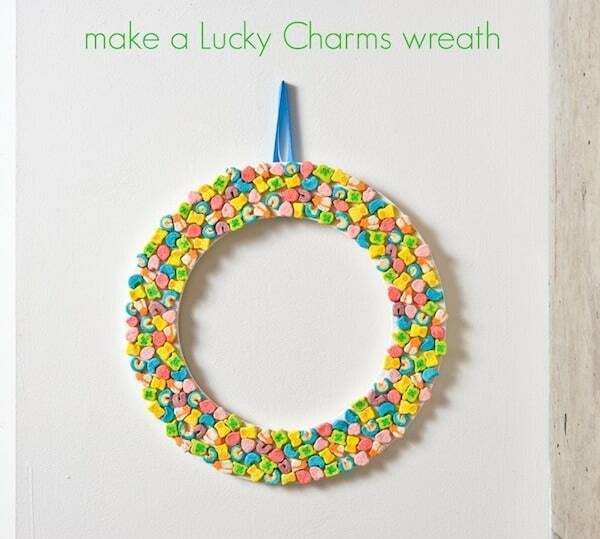 This Lucky Charms wreath is SO easy to make. 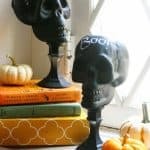 Ever since Heidi made a Lucky Charms bracelet for Mod Podge Rocks last year, I’ve been obsessed with figuring out how to incorporate this delicious cereal into another craft. Her project was seriously brilliant, and I knew I couldn’t touch jewelry because she already went there. 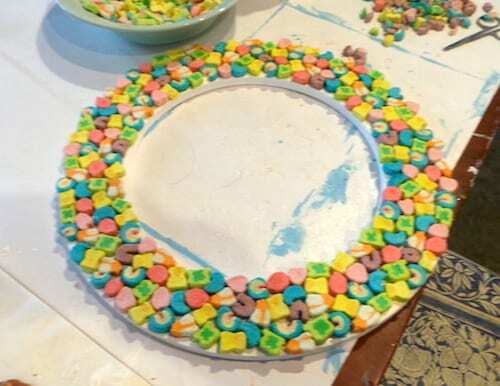 The only time consuming part of this craft is picking the marshmallows out of the cereal, and it’s kind of a shame that you don’t get to eat them . . . but the end result is worth it. 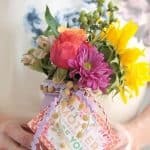 Here’s how I made this wreath. I found this nice chipboard wreath form at Hobby Lobby. I didn’t want to use foam because it was too thick (and I didn’t want a round edge to work the cereal around) – so this was perfect. 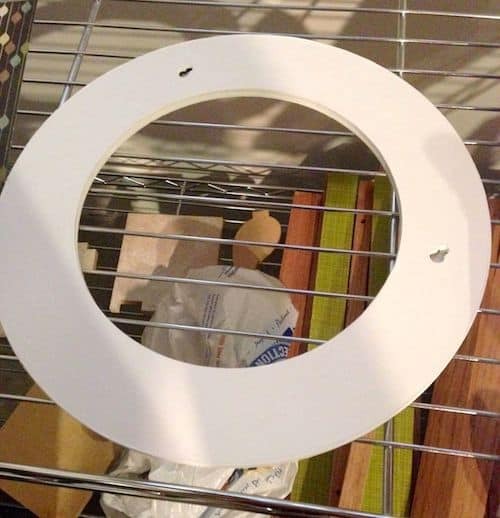 I painted it white and let it dry. This part brought a few tears to my eyes. 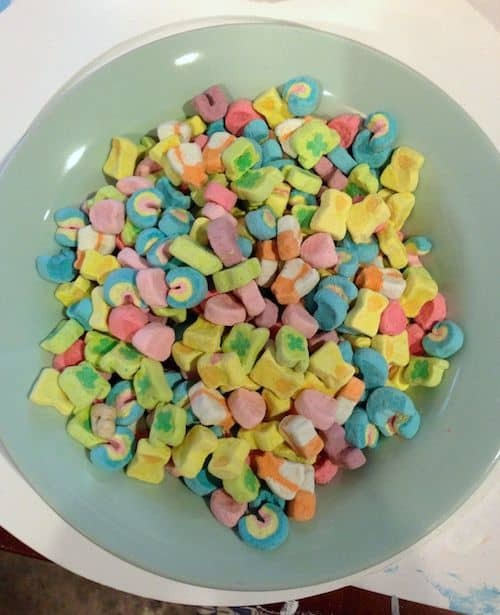 I had to pick the marshmallows out of the cereal. 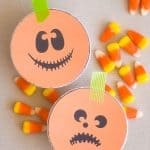 The marshmallows are the best part! Though I was sad to do it . . . the final result was worth it. 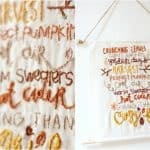 And I’m not going to lie – a few may have snuck into my mouth during this process. 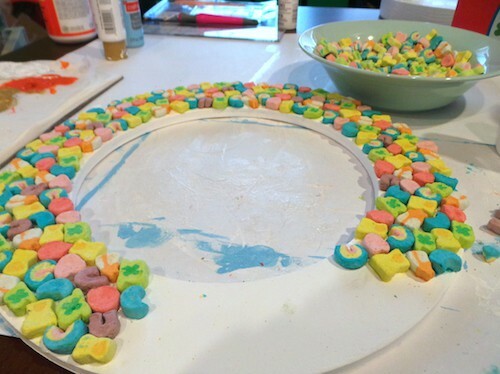 To make the wreath, simply add the marshmallows to the wreath using the craft glue. Treat it like a puzzle where you are fitting the pieces as closely together as possible. Work your way around the ring, gluing until the circle was closed. Once the gluing is finished, take it outside and spray clear acrylic sealer to seal. 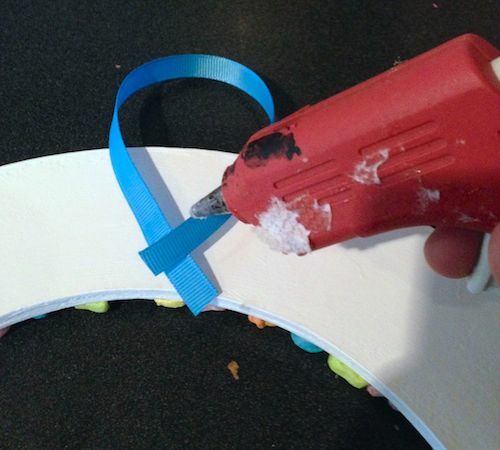 To finish, hot glue a ribbon to the back. Let dry for a few minutes. I’m pretty pleased with how the finished product turned out. 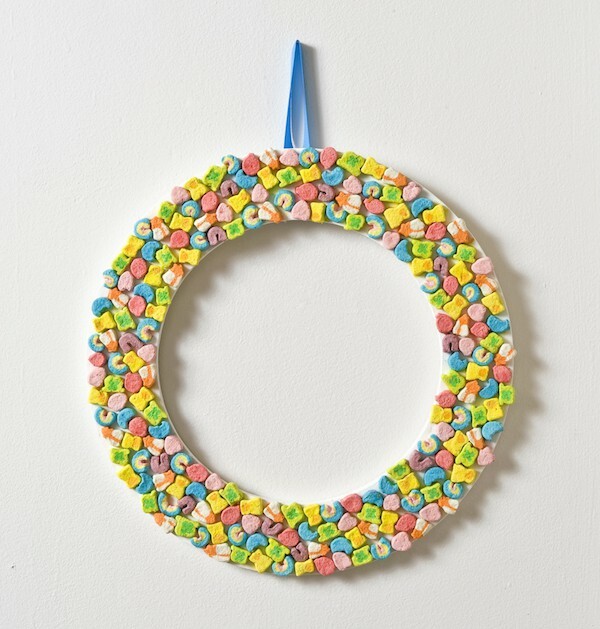 It’s crazy, it’s fun – it’s a Lucky Charms wreath. What do you think? Would you add this to your St. Patrick’s Day decor? oH THIS IS SO STINKING FUN! My lucky charms addict boys would love this.